But this time Nature answers “Yes!” which is great! Except our question wasn’t a yes-or-no question — our question was: “How can we naturally enhance cognition in a way that’s healthy & safe?” So, now we have to wonder, based on Nature’s strange answer, if Nature is mentally equipped to even give us an answer. To clear things up, the Nootropic Geek (me!) has an answer as well: This nootropic review on Nature’s Answer Brainstorm 2. Conclusion: Does Brainstorm 2 Work? 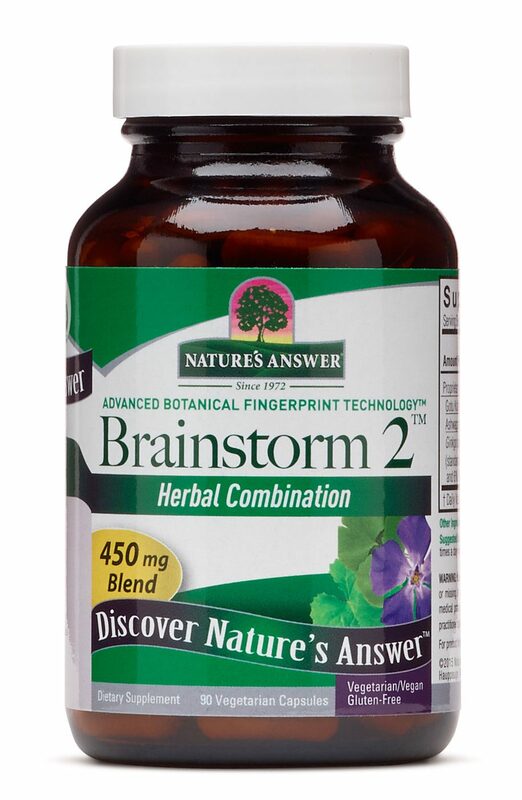 Manufactured by Nature’s Answer, Brainstorm 2 is an Herbal Combination of three well-researched ingredients, stacked in a 450 mg proprietary blend. The “Nature” aspect of this formula is no joke: The formula is all herbal, the capsules are veggie based, and the manufacturer abides by a patented Advanced Botanical Fingerprint Technology™ system that’s entirely unique to their products. Despite the supplement’s impressive cleanliness, most of its formula comes in plain powder, which might be an issue given the questionable formula dosage. Directions: As a dietary supplement, take one (1) capsule two (2) times a day with food or water. Periwinkle? When the f*** did we get periwinkle? 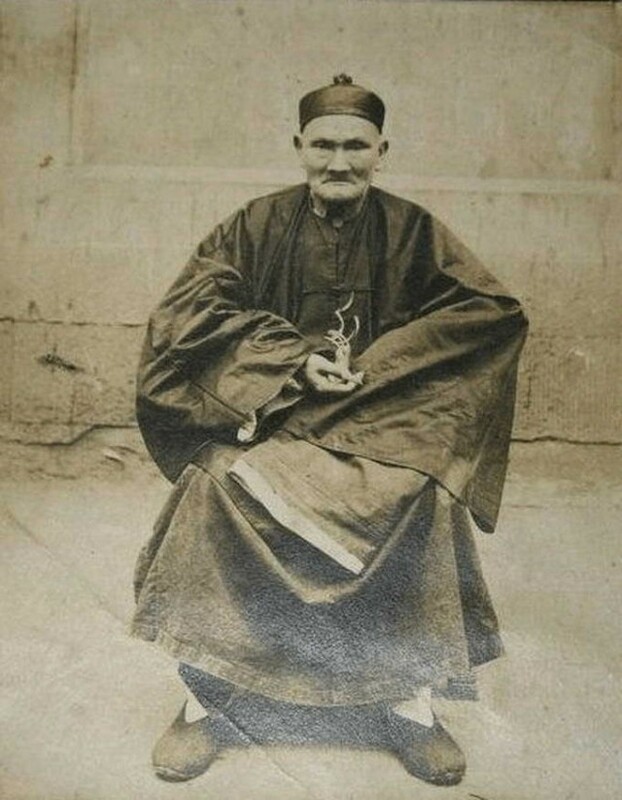 Li Ching-Yuen contemplating centuries of human BS. 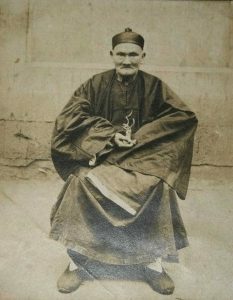 Gotu Kola – Reportedly the herb that lengthened the life-span of Li Ching-Yuen, the man who reportedly lived 256 years. Do I believe this? Yeah, sure, why not — seems reasonable …regardless, is gotu kola, or Centella asiatica, a good nootropic ingredient? Gotu kola seems to reduce anxiety while supplying neuroprotective antioxidants to the brain. Noice. More on Gotu Kola. Ashwagandha – This Ayurveda masterpiece translates from Sanskrit to “smell of horse sweat” for its (you guessed it) horse-like smell. But that’s not why I like this herb — I like it for its potent, noticeable reduction in anxiety. Ashwagandha relieves stress via sedation — sometimes easing cognition for better focus, other times impairing it with too much calm. Either way, it feels groovy. More on Ashwagandha. Ginkgo Biloba Std. Extract – Traditionally recommended for elderly cognition, ginkgo found a place in the nootropic (& bodybuilder) community for its well-demonstrated circulatory benefits, which help increase delivery of oxygen & nutrients to the brain, as well as its working memory support. More on Ginkgo Biloba. Periwinkle Ingredient? The label simply states periwinkle, but the nootropic advantage of this herb lies in vinpocetine, the bioactive constituent of periwinkle. Similar to ginkgo, vinpocetine increases cerebral circulation — however, plain periwinkle isn’t potent enough to do this. As such, the ashwagandha option seems to be the superior nootropic product. More on Vinpocetine. The sequel, baby — Brainstorm 2: Um… The Second One. Unfortunately, as everyone knows, the sequel is rarely better than the original, and I’m not sure the former was all that great to begin with — not to say that it was bad, I’m just unfamiliar with Brainstorm 1, which I hear is a 3,000 mg proprietary blend liquid. Brainstorm 2 is a 450 mg proprietary blend capsule, allocating that 450 mg across three herbal ingredients — two that come as plain powders (Gotu Kola, Ashwagandha), one as a potent extract (Ginkgo). This isn’t the highest quality formula I’ve seen, but it’s not the worst — after all, I’ve supplemented plain Gotu Kola powder before and have felt noticeable anxiolytic effect. Ditto for Ashwagandha, yet I still have to wonder: Is 450 mg enough to cover these three herbs? Used plain powders on gotu kola & ashwagandha. Hid its dosages under a proprietary blend. Brainstorm 2 may be short & simple but it mixes a unique trio of well-researched ingredients, each demonstrated to benefit cognitive well being in different ways. The all natural status extends beyond the formula into the capsules, fulfilling the implicit promise carried by the manufacturer’s “nature” name. Holy cheap, Batman! — at only $14.99 on GNC (check other retailers as well), this product is incredibly affordable. The proprietary status of Brainstorm 2’s blend is annoying, preventing us from seeing the individual ingredient dosages. Nature’s Answer earns points with its Advanced Botanical Fingerprint Technology™ that it loses with its plain plant powders. Nature’s Answer doesn’t pinpoint the elderly community as its target audience, yet I can’t see younger users getting much out of this supplement. Having said that, the standalone ingredients are great for all ages, so don’t write it off completely, doods & doodettes. You can buy Brainstorm 2 through Nature’s Answer’s website as well as various 3rd-party retailers, including Amazon, GNC, Vitamin World, Whole Foods, Vitamin Shoppe, and way, way more. I like these ingredients. If you were to ask this question three times with regards to each respective ingredient in Brainstorm 2’s formula, I’d answer Yes, Yes, and Yes. And I’m pretty sure I already answered Yes to these ingredients in their individual reviews. However, Brainstorm 2 remains a mystery due to its: A) proprietary status, and B) questionable dosage. Plus the plain quality herbs don’t do much for my confidence either. Even so, you’re getting a hefty supply of servings at only $14.99, so if you’re really stressed out on whether or not to buy Brainstorm 2, don’t be: It’s a steal of deal. And, incidentally, these ingredients are actually great at reducing stress out moments, too — so there is that.